Thanks for the nomination !! According to the raw volume, the translation is correct. Blackbeard used the word "Haki" in that chapter. nah, that's just strictly for Assassination Classroom (and maybe something else if we pick up new stuff). Nothing OP related on that site. New coloured volume releases will probably go on Powermanga's website since the editors were absorbed into the group. The revisions are still happening in the background, just very slowly. We have like 5 volumes 95% done. 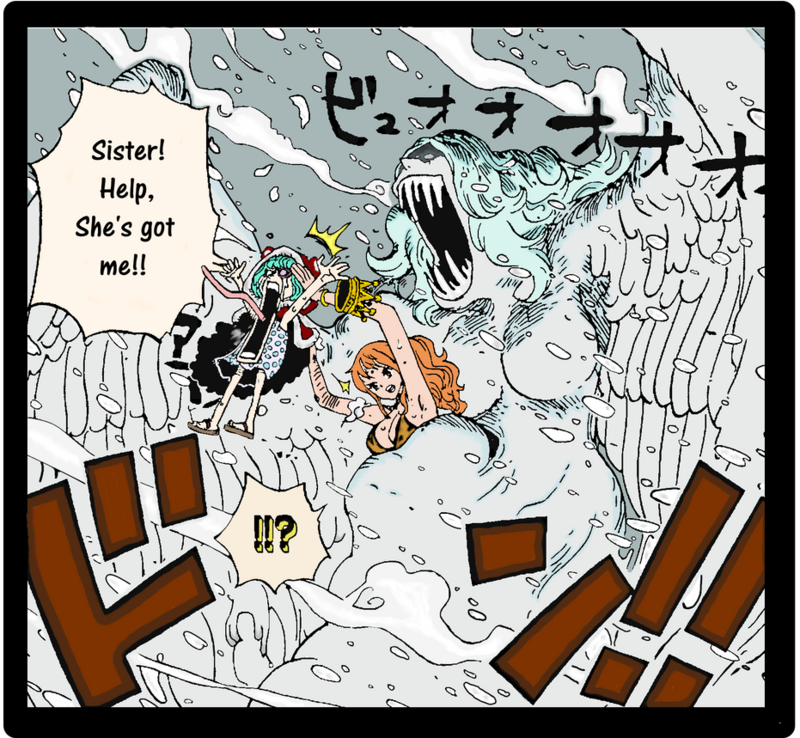 Finnished another installment of Sisterly momments!